Our blog discusses news and current topics about drug and alcohol addiction. Our goal to help you understand the problems and issues related to drug addiction and review new promising treatments for recovery. Nobody sets out to become addicted to drugs or expects to deal with drug addiction. Some people may take an illegal drug for the first time, just to have a thrill or be a part of the crowd. Some people need prescription medication, but over time they begin to take too much, too often. Whatever the case, people certainly do not expect the misery that comes with addiction. But there is help for drug addiction and drug rehabilitation can work. Addiction has many faces, none of them pretty. 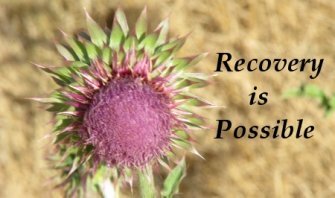 This site is devoted to trying to help find ways for you to recover from addiction. We designed this site to give useful information that will help people learn to make better decisions. The key to dealing with drug abuse, alcoholism and drug addiction is having the right information. You need information to recognize and understand drug addiction or alcoholism in yourself, your family, your friends and your community. The goal of our blog is to have complete and up to date facts about drug and alcohol abuse to help people to stop their dependence. Drug-Addiction-Support.org is a website built to answer the questions and concerns of those harmed by drug and alcohol addiction and abuse. It’s a collaborative effort between many people and resources so that you receive the most update information available. Our goal is to be independent and not promote one treatment center over another but give you the tools to make a well-informed decision. We do recommend that everyone suffering from this destructive disease join a 12-Step group either through your local church, AA, or NA. 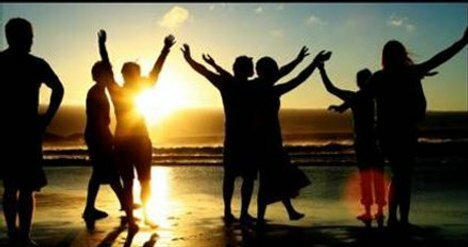 If you are a family member or loved one of an addict we recommend you begin the 12-step process with Al-Anon as soon as you can. Continue reading "Can medication help treat alcoholism?" Continue reading "Its Starts Slow, Then Swallows You Whole." Continue reading "Offering hope, calling for help"
Treatment for Substance Abuse: Often the most over looked and misunderstood aspect of substance abuse treatment is the SPIRITUAL aspect of recovery. Continue reading "Treatment for Substance Abuse"
Alcoholism Treatment discusses why you treatment is necessary to end alcohol addiction. Amphetamine Abuse Symptoms are the signs you should look for to determine if there is addiction or abuse present. Continue reading "Amphetamine Abuse Symptoms"
Continue reading "Drug Abuse Treatment Center"
Continue reading "Opioid Abuse Stories"
Continue reading "Morphine Abuse Symptoms"
Continue reading "Darvon Abuse Recovery"
Continue reading "Addiction Alcoholism Drug"
Diet Pill Addiction Symptoms are the signs to look for in yourself and your loved ones to determine if they are abusing or addicted to drugs. Continue reading "Diet Pill Addiction Symptoms"
Dilaudid Abuse Symptoms are the signs to look for to decide if drug addiction, drug abuse or alcoholism are present. Continue reading "Dilaudid Abuse Symptoms"
Dilaudid Abuse Facts use statistics to show why drug addiction and alcoholism are so expensive to all involved. Continue reading "Dilaudid Abuse Facts"
Dilaudid Abuse Help lists resources that are available to use if you need to deal with drug addiction or alcoholism treatment and recovery. Continue reading "Dilaudid Abuse Help"
Just found out husband using crack? I just found out that my husband is using crack. I need someone to talk to, in my area (San Leandro CA) regarding this big issue. Impact on our lives. Continue reading "Just found out husband using crack?" Dilaudid Abuse Causes are the reasons that people abuse drug and alcohol and why they become addicted to them. Continue reading "Dilaudid Abuse Causes"
Continue reading "Big Book of AA"
Drug Free America is an organization that the New York Times has choosen as one of the most effective drug prevention organizations in the U.S.
Continue reading "Drug Free America"
Crack Addiction describes why cocaine is so addictive and how you can begin to recover the addiction. Our view is that drug addiction is a disease, this page outlines drug addiction disease and as a choice and discusses the key issues. Continue reading "Drug Addiction Disease"
Drug Addiction Articles tells the amazing stories of Josh Hamilton and the home-run derby. Continue reading "Drug Addiction Articles"
Continue reading "How to Stop Drinking"
Continue reading "Problem Drug Addiction"
Continue reading "Alcohol Addiction Detox"
Continue reading "Effects of Alcoholism"